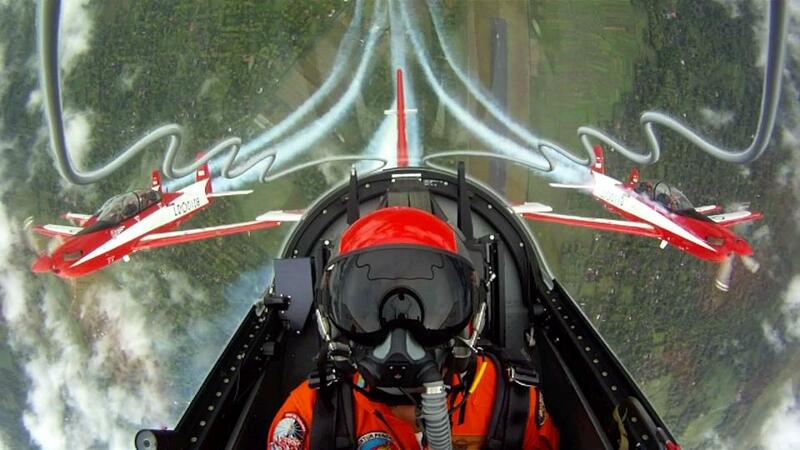 LANGKAWI - Penampilan The Jupiter Aerobatic Team TNI Angkatan Udara dihari keempat Langkawi International Maritime and Aerospace Exhibition 2013 (LIMA’13) yang diperuntukan umum memukau ribuan pengunjung khususnya masyarakat Langkawi, Jum’at (29/3). 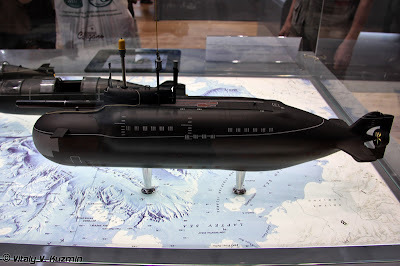 LANGKAWI (RIA Novosti) – Russian shipbuilders are working on developing new “super mini” submarines, the United Shipbuilding Corporation state holding company said on Friday. USC vice president Igor Zakharov said work on the sea craft is in progress at the St. Petersburg-based Malakhit naval machine manufacturing bureau and that Navy command has been showing interest in the project. Alexander Terenov, an advisor to Malakhit’s general director, said the Project 865 Piranha submersible (NATO reporting name Losos) could go beyond just “hit and run” operations. “They have a broad range of applications and can carry full-fledged missile and torpedo systems,” Terenov said. Terenov said the Piranha could also be deployed for the protection of naval installations, and would be operated by small crews and cost little to maintain. Piranha is a midget submarine designed for special operations and is almost completely silent. 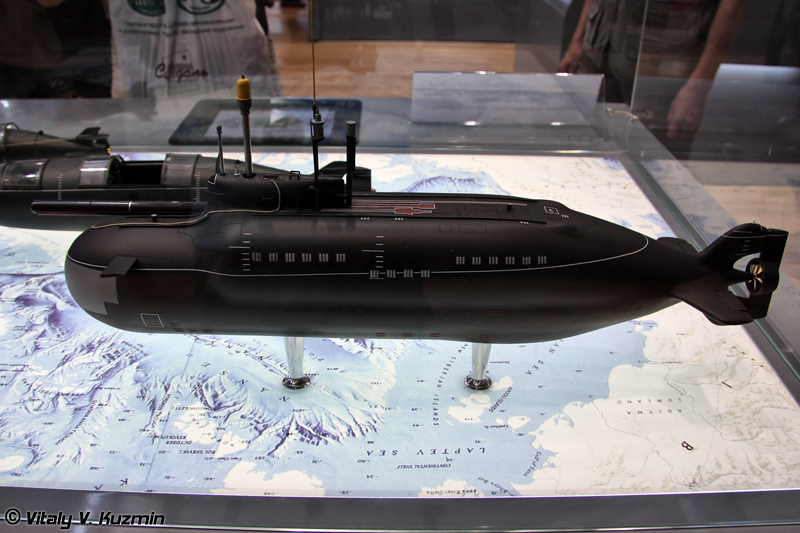 Only two Piranha-class submarines were reportedly ever built in Russia. 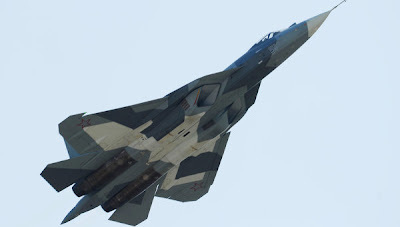 Langkawi (RIA Novosti) - Malaysian Prime Minister was interested in the Russian fifth generation fighter T-50 (PAK FA), said Air Force Commander Viktor Bondarev at the air show LIMA -2013. "Development Program for the PAK FA is underway. Yesterday met with Malaysian Prime Minister - he was very interested in the aircraft," - said the commander in chief. Answering the question of when the PAK FA to be delivered to the Russian Army, Bondarev said: "As you know, these new machines are now actively being tested, and in 2016 the first aircraft expected to begin flowing to the troops." 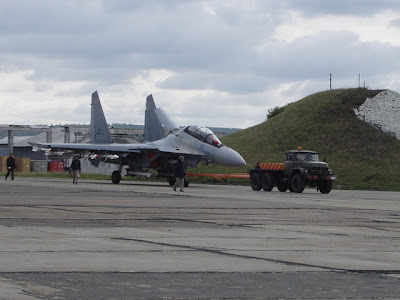 Earlier this Airshow deputy director of "Rosoboronexport" Victor Komardin said Royal Malaysian Air Force would be inappropriate to adopt and buy a Russian fifth-generation fighter, but Moscow will continue to advance in this country modernized versions of the Su-30 MKM. 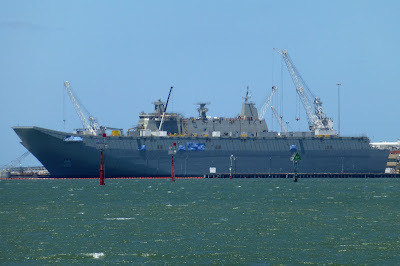 VAN NUYS, Calif. - ITT Exelis (NYSE: XLS) has been awarded a contract valued at more than $102 million to provide the Electronic Support Measures (ESM) suite for Australia’s ANZAC frigates and the Canberra class LHD ships, enhancing the country’s national defense capabilities throughout the Pacific and Indian Ocean regions. With this contract, Exelis continues to extend its leading edge electronic warfare capabilities to international customers. The Exelis ES-3701 ESM system will significantly improve the Royal Australian Navy‘s capability to detect radars from other surface ships and aircraft. It provides situational awareness, targeting, self-protection and surveillance, and utilizes a Windows-based interface for robust, easy-to-use graphical displays. The selection of the ES-3701 also provides commonality with other large warships in Australia’s fleet, as the system is also being deployed on the Air Warfare Destroyer (AWD). This is the second major contract in recent years to provide electronic warfare systems to the Royal Australian Navy; Exelis was previously awarded the contract for the ESM suite for the AWD program. The work for these key contracts will be performed by the Exelis Electronic Systems, radar, reconnaissance and undersea systems business area from its Morgan Hill, Calif. location. For more than 60 years, Exelis has been providing leading edge ESM solutions to navies around the world. These precision monopulse, direction-finding ESM systems are ideal for submarines, surface ships and land-based applications. 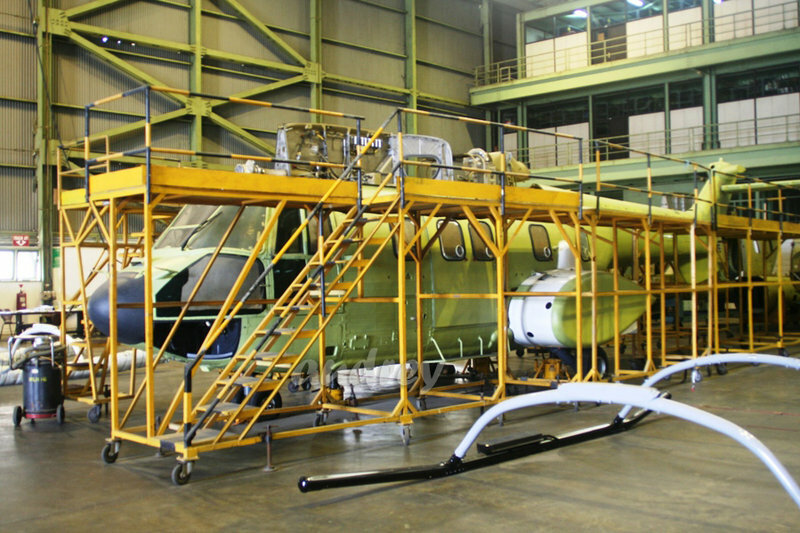 LANGKAWI: BHIC AeroServices Sdn Bhd, a subsidiary of Boustead Heavy Industries Corp Bhd (BHIC), today signed a maintenance, repair and overhaul (MRO) centre agreement with Eurocopter to cover maintenance activities for Malaysian Government-owned helicopters. BHIC AeroServices managing director Tan Sri Ahmad Ramli Mohd Nor said through the agreement, the company becomes Eurocopter's exclusive approved MRO Centre to cover maintenance activities for the government's helicopters especially those in service with the Royal Malaysian Air Force (EC725), Royal Malaysian Navy (Fennec AS555SN) and Malaysian Maritime Enforcement Agency (Dauphin AS365N3). "The agreement is a major milestone for BHICAS, establishing the company as the leading MRO Centre for rotary wing aircraft in Malaysia, thus fulfilling the government’s aspiration to develop local expertise in MRO and strengthening the involvement of the Boustead Group in the aviation industry," he said in a statement today. 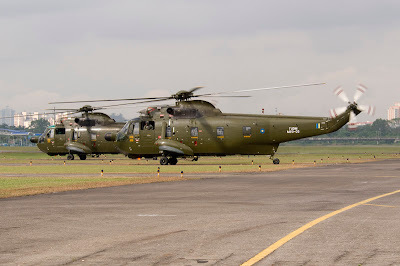 A joint venture company formed in 2010 between BHIC Defence Technologies Sdn Bhd, a subsidiary of BHIC, Prestige Pillar Sdn Bhd and Eurocopter Malaysia Sdn Bhd, the main business activity of BHIC AeroServices is the performance of MRO for rotary wing aircraft. 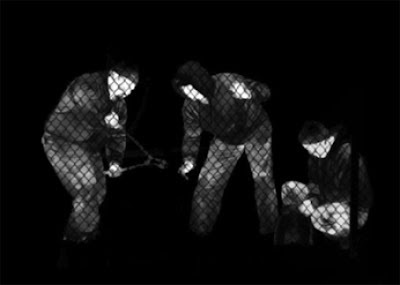 LANGKAWI: Several government and law enforcement agencies are evaluating a thermal imaging system that can detect targets day or night. "The bad guys are in for a big surprise. When FLIR is turned on, they will have nowhere to hide. 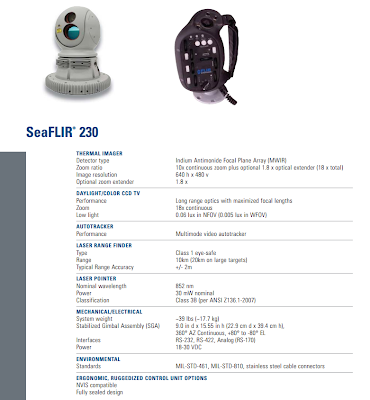 We see without being seen, and we turn night to day," said Datin Noorshida Mohd Ali, managing director of DNDA Avia Marine Sdn Bhd that markets FLIR Systems in Malaysia. The New Straits Times was given a demonstration of this technology yesterday on board a Malaysian Maritime Enforcement Agency Fast Interceptor Craft at Resorts World, Pantai Cenang. DNDA's director of training, Commander (R) Syed Noh Syed Abbas, said the system was being evaluated by the Defence Ministry, the police and the Malaysian Maritime Enforcement Agency. The MMEA provided one of their Fast Interceptor Boats, outfitted with the SeaFLIR 230 system. 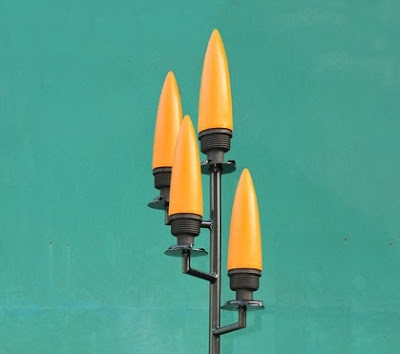 It was bolted on to the mast of our boat. "The system is utilised in the role of RSTA, (Reconnaissance, Surveillance and Target Aquisition). "It is designed for all types of weather, like fog and rain. We can also integrate the ships' own systems to work with SeaFLIR, and link it to the vessel's onboard weapons system as well as the its GPS (global positioning system), INS (inertial navigation system) and radar. "We can basically tailor-make our FLIR system to the customers' requirements," said Noh. DNDA's business development director Capt (R) Abdul Kadir Zakaria said the system also comes in man-portable units that are no bigger than some video camcorders, like the FLIR LS series and the higher end FLIR HS. "The system is best for specialised police units that need to operate covertly and stay undetected. There are even picatinny mounts to enable the unit to be fitted on weapons. "If a person is standing behind a bush, you may not see be able to see him with night vision, but with FLIR, he can be detected immediately." Construction of two frigates project 11661E "Gepard-3.9" for the Vietnamese Navy will be built by Zelenodolsk Shipyard Gorky in Tatarstan. On this, as reported by ITAR-TASS news agency, said the company's CEO Renat Mistahov. According to him, the laying of the first ship in June 2013. Both frigates will be transferred to the customer in 2016 and 2017. Construction of frigates will be carried out under a contract signed in December 2011. Vietnam then bought two frigates. According to the Deputy Director for International Business Zelenodolsk plant Sergei Rudenko, the party patrol will be built with "ASW characteristics." The first two ships of the "Gepard-3.9" Vietnam has purchased in 2006. They were handed over to the customer in 2011. The structure of the Vietnamese Navy patrol were named "Dinh Tien Hoang" and "Ly Thai To." Tonnage of ships of 2.100 tons. Patrol armed with cruise missiles, "Uran", 76.2-mm guns and 30-millimeter gun. In the air group of ships includes one helicopter Ka-28 and Ka-31. LANGKAWI (RIA Novosti) – Russian aircraft maker Sukhoi and the Malaysian Defense Ministry have signed a $100-million contract for the technical maintenance of Malaysia’s fleet of Su-30MKM fighters, said a spokesman for the organizing committee of the LIMA-2013 aerospace exhibition. 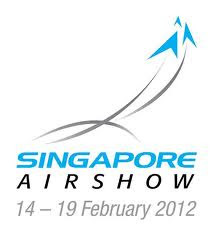 Shiebel will demonstrate the capabilities of the CAMCOPTER S-100 Unmanned Aircraft System during flight displays at Langkawi International Maritime and Aerospace (LIMA) Exhibition, which takes place in Malaysia from 26th to 30th March 2013. 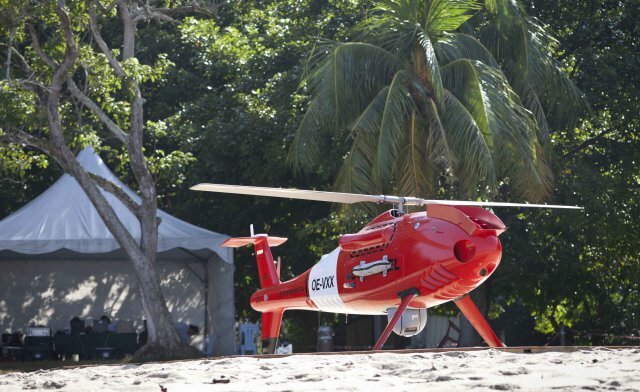 There has been strong interest in the CAMCOPTER S-100 in the region, leading Schiebel to commit to attend the event, in cooperation with their local partner Alaf Strategi, for a second time. In June 2012, the S-100 successfully completed a series of demanding trials for Malaysian Armed Forces and Malaysian Maritime Enforcement Agency (MMEA) representatives. Operated by Alaf Strategi personnel, the S-100 VTOL UAS flew from a makeshift helipad at the beach various missions out to 30 nm in Teluk Batik, Malaysia. Several maritime ISR missions were performed by day and night, including a mission to identify and track several fast-moving MMEA vessels. Although S-100 is tested on three oceans of the world, on 14 different classes of vessels, each trial is a unique and challenging experience. Hundreds of takeoffs and landings, relative wind speeds up to 40 knots, hovering close above the helicopter deck and automatically following the ship’s movements, with a subsequent smooth touch down and proven automatic decking capabilities, are just a few of the outstanding characteristics of the CAMCOPTER® S-100. EADS defence unit Cassidian is offering its DVF 2000 unmanned air system to the Malaysian armed forces, touting the lightweight design's utility in support of land and maritime operations. Developed by France's Survey Copter, the catapult-launched mini-UAS will be on show at the 26-30 March Langkawi International Maritime & Aerospace exhibition. 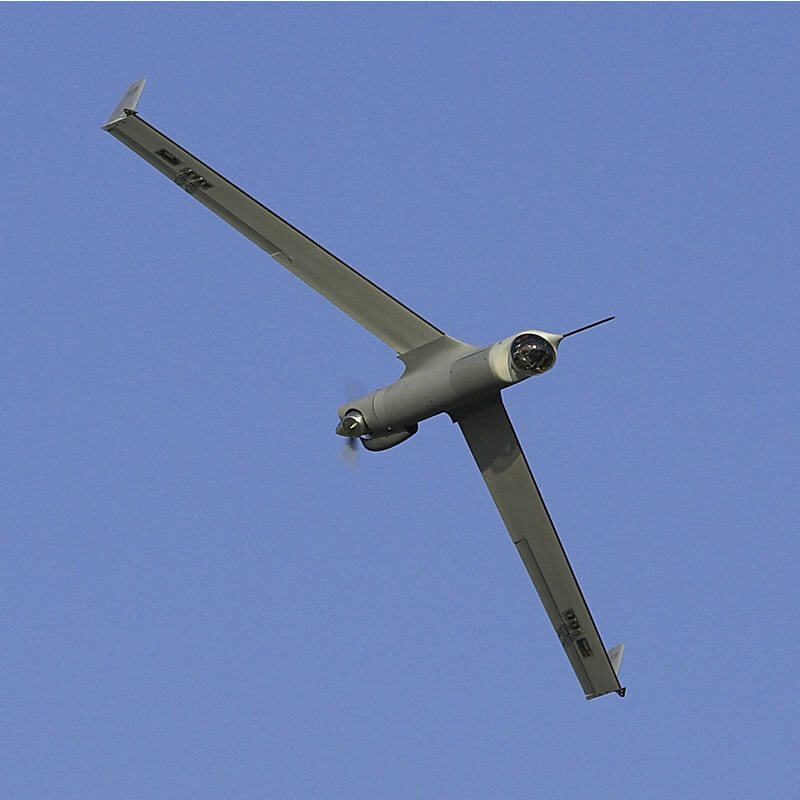 The fixed-wing type offers a flight endurance of up to 2h, while carrying a 1kg (2.2lb) electro-optical or infrared camera. 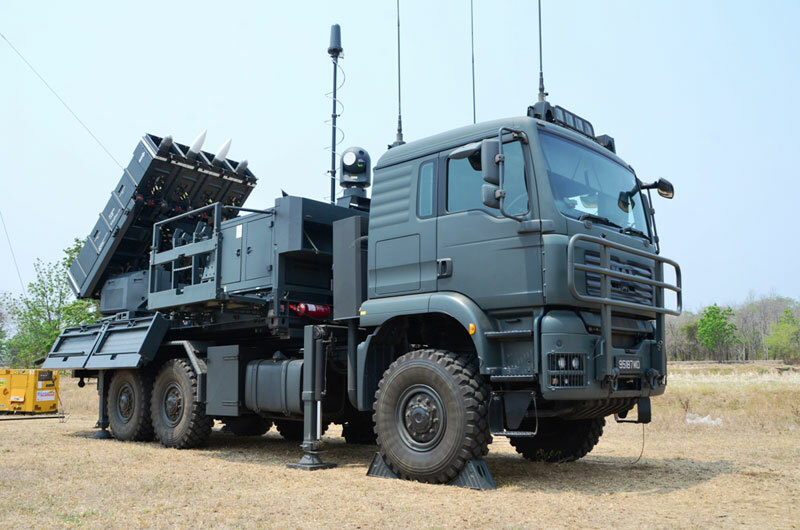 Operating range is cited as more than 30km (55nm). "DVF 2000 provides real-time video and pictures to a mobile ground control station," says Cassidian in a pre-show statement. 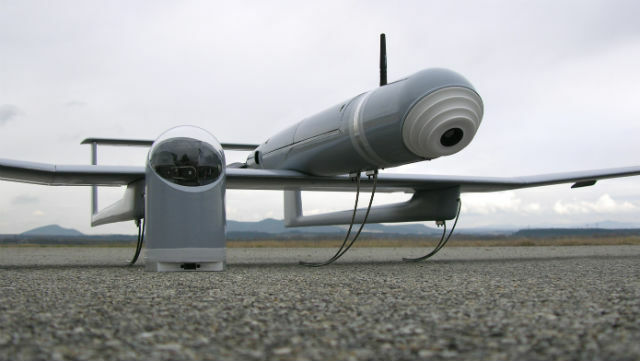 "We are actively pursuing opportunities in the field of sensors and UAVs, for both military and security forces' use," says the company's head of Asia-Pacific, Peter Gutsmiedl. 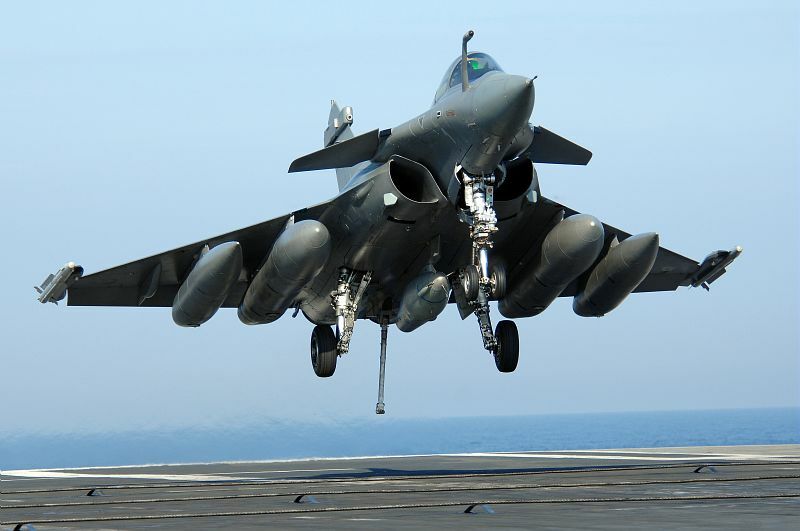 France dangled Tuesday the possibility of manufacturing its Rafale fighter plane in Malaysia if the nation selected the aircraft as its new combat jet. "We are considering an assembly line in Malaysia," said Eric Trappier, chief executive of the Rafale's builder Dassault Aviation, in a telephone interview from the Langkawi air show in northern Malaysia. 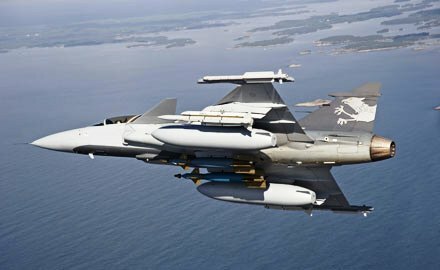 Malaysia is looking to buy 18 combat fighters to replace its ageing Russian Mig-29s, with the Eurofighter, Boeing's F-18 and Saab's Gripen also in the running. The multi-role Rafale, which entered service in the French military in 2001, can carry out air-ground or air-sea attacks, reconnaissance, aerial interception or nuclear strike missions. France is keen to make its first foreign sale of the Rafale, which has struggled to find buyers, to support a project that has cost tens of billions of euros. India has selected the Rafale, with most of the 126 fighter jets they plan to buy expected to be built there if the final contract is signed this year as hoped. Malaysia is keen for its local companies to be involved in the manufacturing, and Trappier said that Dassault has spent considerable effort in lining up local suppliers should the Rafale be selected. Dassault has already signed deals with Malaysian companies CTRM, Zetro Aerospace and Sapura, he noted. 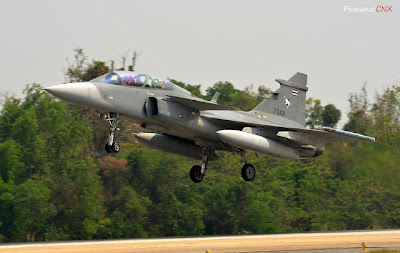 Two Rafales were at the Langkawi air show to provide demonstration flights. 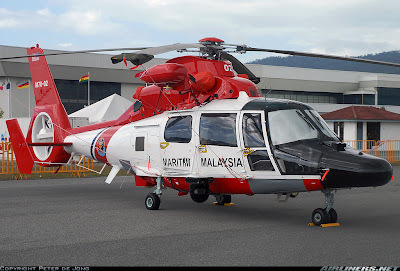 Langkawi - PT Dirgantara Indonesia (PT DI) tidak lagi memproduksi helikopter mewah dan canggih Super Puma NAS332C1. BUMN ini sedang memproduksi helikopter berteknologi tinggi dan lebih canggih yakni EC-725-Cougar. Northrop Grumman and Saab are sizing up the potential to sell airborne early warning and control (AEW&C) system aircraft to Malaysia. For the first time since 2005's Langkawi International Maritime & Aerospace (LIMA) exhibition, Northrop has a booth at the 26-30 March show. The focus of its presence is the E-2D Advanced Hawkeye AEW&C aircraft, with its stand featuring a mock-up of an operator's tactical work station. Tom Trudell, manager of international business development and AEW programmes at Northrop, says the company's presence at this year's LIMA is mainly to get a better feeling of Kuala Lumpur's future AEW&C requirements. "One goal is to raise general awareness about the E-2D and the capabilities it provides," he says. The US Navy's programme of record for the type is for 75 aircraft, and there is also capacity for international sales, Trudell notes. 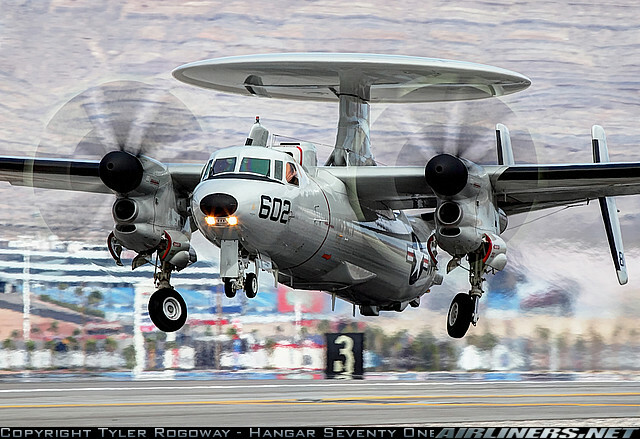 Four E-2Ds would allow Malaysia to maintain persistent surveillance, he says, adding that this is the same number deployed on board a USN aircraft carrier. Thomas Linden, head of Saab Malaysia, is confident Kuala Lumpur will eventually buy AEW&C aircraft. The company's exhibit at LIMA contains a large model of an AEW&C-roled Embraer EMB-145 twinjet equipped with a Saab Microwave Systems Erieye radar system. Any bid Saab may mount for a prospective Malaysian contest would involve the company's local partner, conglomerate DRB-HICOM, which would be the main beneficiary of any technology-transfer agreement contained within a procurement. 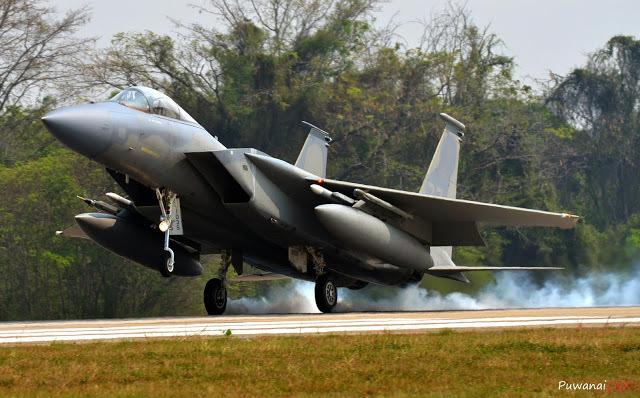 Malaysian acquisition rules require that any foreign defence purchase in excess of M$50 million ($16.1 million) includes an offsets package worth 100% of the total contract value. Linden notes the Swedish company has already integrated its Erieye system on a range of airframes, including the Saab 340, Saab 2000 and the EMB-145. 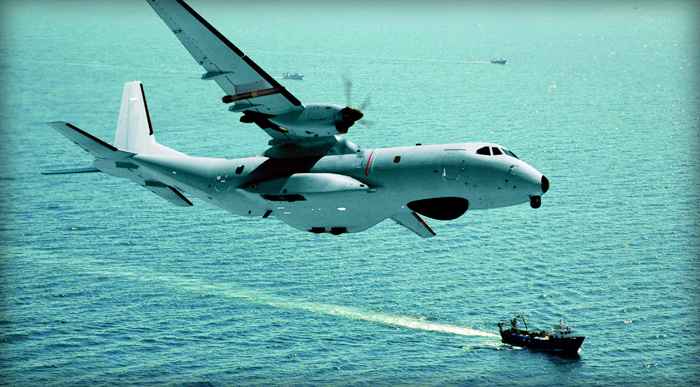 "We offer a very cost-efficient AEW&C solution," he says. "It provides 80% of the performance at 50% of the price." 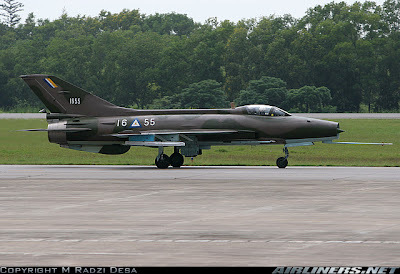 Linden stopped short of linking an AEW&C deal with Malaysia's stalled competition for 18 multirole combat aircraft. 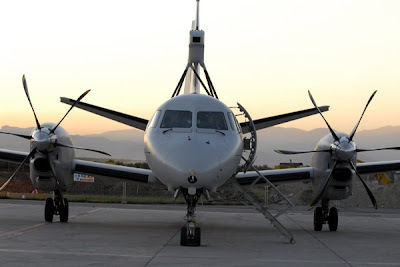 Malaysia's northern neighbour Thailand has already received two Erieye-equipped Saab 340s (one pictured below) as part of a package also containing 12 Saab Gripen fighters. 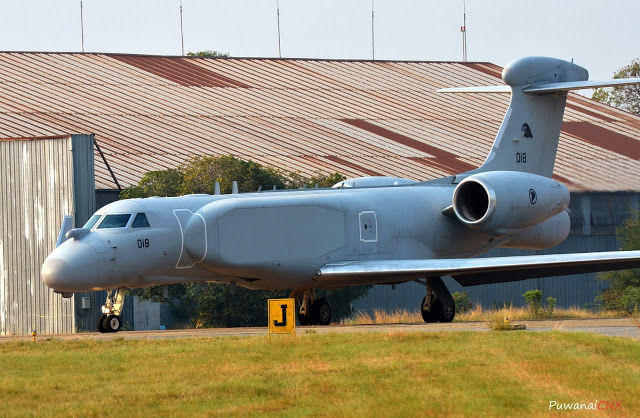 Kuala Lumpur has long been interested in obtaining an AEW&C capability, but industry sources say funding has been a persistent challenge for the requirement. LANGKAWI: Defence Minister Datuk Seri Ahmad Zahid Hamidi has rubbished a report that Malaysia plans to boost air power by getting Gripen fighter jets on lease. "I want to emphasise that the report is not true as Malaysia is only interested in buying defence assets," he told a press conference at Langkawi International Maritime and Aerospace (LIMA) Exhibition here today. 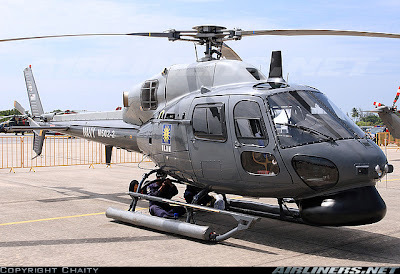 LANGKAWI - Kesemua 30 unit helikopter Nuri yang digunakan lebih 40 tahun lalu, akan ditambah baik serta dinaik taraf bagi membantu meningkatkan keupayaan Angkatan Tentera Malaysia (ATM) dengan sebahagiannya akan dijual kepada negara ketiga mulai tahun ini. Menteri Pertahanan, Datuk Seri Dr. Ahmad Zahid Hamidi berkata, langkah itu selaras dengan program memobilisasikan aset ATM sedia ada termasuk melihat penggunaannya bagi mengukuhkan lagi kawalan keselamatan di Zon Selamat Sabah Timur (Esszone). Menurut beliau, meskipun usia helikopter berkenaan melebihi 40 tahun, namun masih berkeadaan baik dan boleh digunakan untuk membantu menambah kekuatan pasukan keselamatan negara. "Hasil perolehan jualan aset ini pula akan digunakan bagi pembelian aset lain yang kemampuannya sekurang-kurangnya setanding dengan Nuri," katanya kepada pemberita sewaktu meninjau Pameran Udara dan Maritim Antarabangsa Langkawi (LIMA) 2013 di Pusat Pameran Antarabangsa Mahsuri (MIEC), di sini hari ini. Menurut Ahmad Zahid, proses meningkatkan keupayaan helikopter itu termasuk melibatkan pertukaran empat bilah kipas kepada lima bilah menerusi teknologi baharu, meningkatkan sistem kokpit daripada analog kepada digital dan kotak gear yang boleh digunakan untuk tempoh 20 tahun akan datang. Katanya, kos bagi proses itu bergantung kepada sebut harga yang akan diperoleh kementerian tersebut daripada beberapa syarikat penyedia perkhidmatan. WASHINGTON: Singapore is expected to announce sometime in the next 10 days that it plans to buy its first squadron --12 planes -- of some 75 of Lockheed Martin's F-35Bs, further bolstering what had been the flagging fortunes of the world's most expensive conventional weapon system. The fact that American allies in the Pacific are the ones committing to the controversial and over-budget aircraft is telling. If you want to understand the calculus driving these choices, first look at China, which to countries such as Singapore, Japan, South Korea and Australia is the primary long-term threat. The Singaporeans are extremely shy about declaring their intentions in public, eager to offer few chances for China and Malaysia to react, but two sources familiar with the program confirmed the likely announcement. Given Singapore's tiny size its choice of which of the three F-35 versions to buy is not surprising. A plane that can take off almost vertically and can land vertically is able to operate from a much smaller footprint than, say the F-35A (the Air Force version) or F-16 Block 60s. And, given Singapore's geography, the F-35B makes great sense for its ability to operate closely with the US Marines -- as well as with F-35Cs operating from our aircraft carriers. The Singaporeans decision will eventually leave China -- and Russia, still something of a Pacific power -- facing 50 to 100 Australian F-35As, 42 F-35As in Japan, 75Bs in Singapore and however many of the three versions built and fielded by the Untied States are regularly in the Pacific. Then consider the F-35, which offers the first true integrated global supply chain for a major weapon system and offers highly classified capabilities which America had previously not made available to allies. LINKÖPING, Sweden--(BUSINESS WIRE)-- Defence and security company Saab (STO:SAABB) has signed an Memorandum of Understanding (MoU) with Malaysian company DRB-HICOM. The purpose is to broaden and deepen the relationship between the companies which began in 2011. 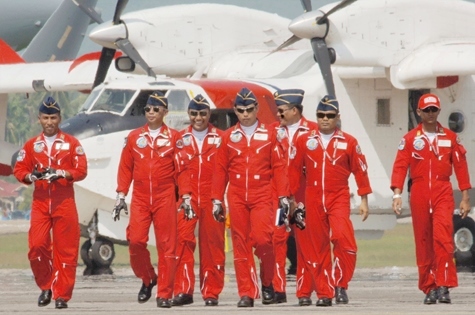 LANGKAWI: WHEN the curtains go up at this year's edition of the Langkawi International Maritime and Aerospace exhibition (Lima '13) today, Datuk Seri Najib Razak will likely be reflecting on one thing in particular. 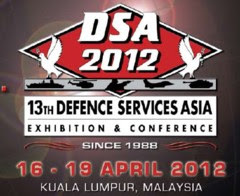 Events in Lahad Datu must surely underscore the value of having a show such as Lima, as well as the Defence Services Asia exhibition, in the region. After Tun Dr Mahathir Mohamad, credited as the man whose brainchild was the Lima series of exhibitions, Najib is known as the biggest supporter of the biennial show. The prime minister values exhibitions such as Lima and DSA as a catalyst for dialogue between Malaysian and foreign companies. On the back of the incursion by armed gunmen in Sabah, interest from the government in force multipliers, such as unmanned aerial vehicles, surveillance and command and control systems, has ramped up. There's a renewed interest in security systems and "eye-in-the-sky" programmes to ensure the safety and security of the East Malaysia Safe Zone. Companies making such systems are here in force, as are those interested in bidding for Malaysia's multirole combat aircraft (MRCA) replacement programme. This programme, according to industry and ministry insiders, is a little further along the priority list. Apart from this, the show is all set to dazzle as usual, with a small surprise for media members. 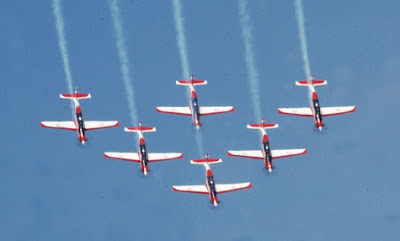 At the very last minute, the Russian Knights aerobatic team confirmed participation for the air show segment of Lima '13, something that had not been publicised. 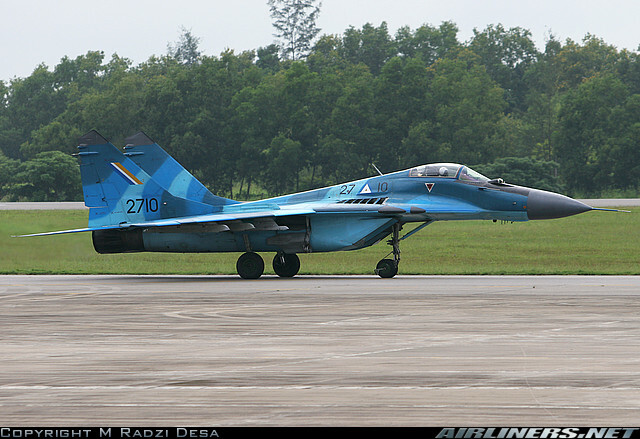 Flying distinctively liveried Sukhoi Su-27 Flankers (the predecessor of the Su-30MKM Flanker the Royal Malaysian Air Force operates), the Knights have not been back in Langkawi since the 1995 edition of Lima. On Dec 12 that year, while the Flankers were on their way back to Russia from Langkawi, three of the five aircraft crashed into a mountainside while approaching Cam Ranh airfield in Vietnam in adverse weather. 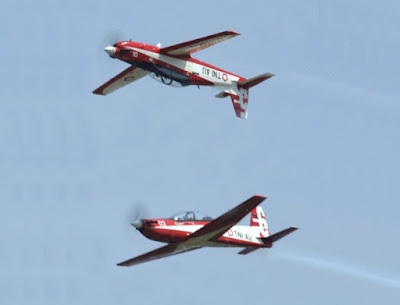 Joining the Knights on aerial display will be the Jupiter aerobatics team from Tentera Nasional Indonesia-Angkatan Udara, flying seven Korean Aerospace Industry KT-1B turboprop planes. This is the team's first appearance at Lima. 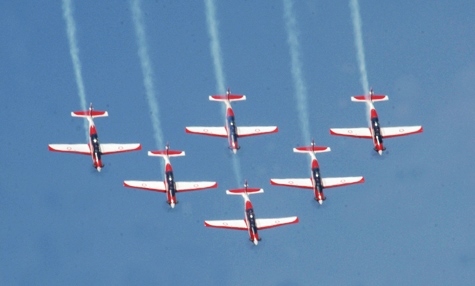 Malaysia's own Krisakti aerobatics team, flying the Extra 300L turboprop, will also put on an aerial display, as are the RMAF's Flankers and MiG-29N Fulcrums. MRCA replacement programme hopefuls -- the Eurofighter Typhoon, Dassault Aviation Rafale, Saab Gripen and Boeing F/A-18 E/F Super Hornet -- will impress again, while the massive C-17 Globemaster jet transport, with its short take-off and landing and reversing abilities, is set to wow the crowds in Langkawi for the second time. These aircraft will also be on static display, joined by a range of helicopters and aircraft from the RMAF, Royal Malaysian Navy, Army Air Wing, Malaysian Maritime Enforcement Agency, Fire and Rescue Department, Department of Civil Aviation, police air wing, United States Navy Seventh Fleet, Royal Australian Air Force, Republic of Singapore Air Force, Russian Air Force, AgustaWest-land and Bell Helicopters, among others. On the maritime side, the RMN and MMEA make up the bulk of the 63 boats and ships being exhibited, with the former having 14 such vessels, and the latter showing 29. Leading the way is the navy's Scorpene submarine, KD Tunku Abdul Rahman. Other Malaysian companies are also here with their vessels, with the foreign contingent comprising naval vessels from Thailand, Australia, Singapore, Russia, Bangla-desh, Brunei, Myanmar and Indonesia. 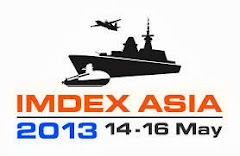 Russia and Myanmar are appearing for the first time in the maritime segment of the show. 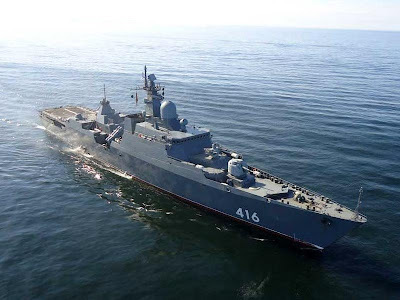 Arguably the most famous of these vessels is the Russian Navy's Marshal Shaposhnikov, a destroyer which was involved in an operation off the coast of Somalia in May 2010 to rescue a Russian tanker hijacked by Somali pirates. In the operation, the crew detained 10 pirates and killed another. 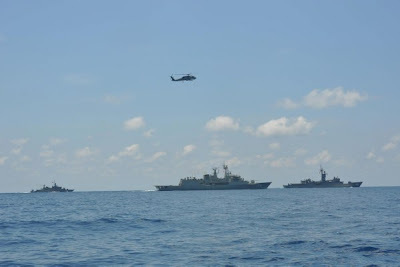 The Royal Australian Navy, supported by the Royal Australian Air Force, has conducted a highly successful maritime exercise with the Royal Thai Navy, demonstrating yet again how well the two nations can operate effectively together. The Australian Anzac Class Frigate HMAS Parramatta travelled to Thailand in March to conduct Exercise AUSTHAI 2013 with the Royal Thai Navy’s HTM Ships Rattanakosin and Phutthayotfa Chulalok. The three ships were joined by two maritime patrol aircraft: an AP3-C Orion from the Royal Australian Air Force, and a Royal Thai Navy Dornier‑228. The primary aim of the exercise, held in the Gulf of Thailand, was to practice maritime warfare skills and to strengthen naval interoperability, including through the application of maritime patrol aircraft. During the exercise, Parramatta and her Thai counterparts practiced gunnery exercises collectively known as ‘maritime interdiction’, and the Australian crew also demonstrated the Royal Australian Navy’s fire fighting and damage control techniques. The exercise had a heavy focus on the conduct of maritime boarding operations, allowing participants to hone boarding skills and discuss mutual lessons learned from deployments to the Middle East. Parramatta’s Commanding Officer, Commander Simon Cannell, said the success of the exercise should give both nations great confidence in their maritime security capabilities. “Exercises like this are extremely important because it’s essential to our mission of maintaining maritime security in this region that we have the ability to work together with all of our South East Asian neighbours,” said Commander Cannel. 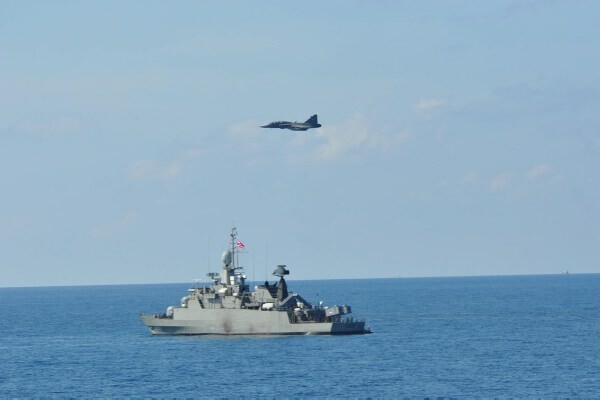 The exercise also allowed personnel from both navies to conduct at-sea exchanges between vessels. 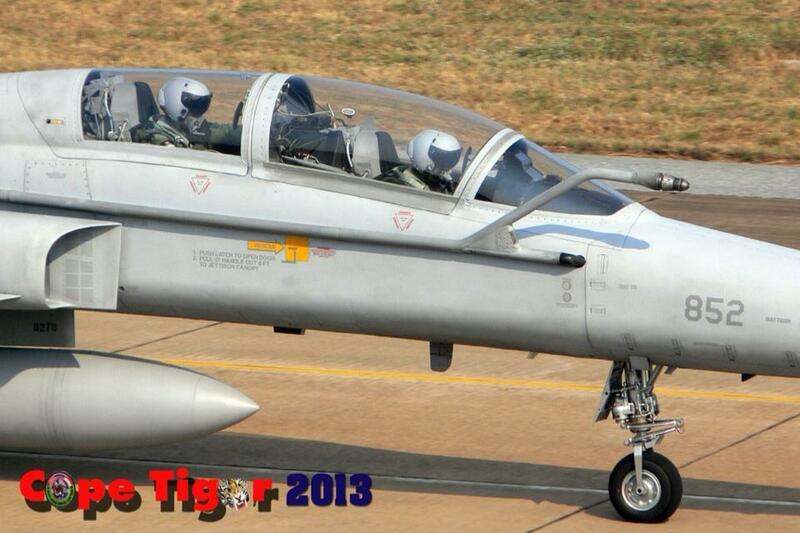 AUSTHAI 13 was the seventh iteration of the biennial exercise. MALANG, KOMPAS.com — Indonesia ditargetkan segera bisa membuat fuse (pemantik) bom P-100 Live untuk pesawat Sukhoi. Fuse adalah pemantik untuk mengarahkan bom pada sasaran. "Saat ini PT Dahana (BUMN) dan PT Sari Bahari (swasta) sedang bekerja sama dengan Bulgaria untuk transfer ilmu membuat pemantik bom P-100 untuk pesawat Shukoi. Kita belum bisa membuat fuse-nya, hanya bisa membuat bomnya. Nanti kalau teknologi fuse bisa kita kuasai, kita bisa buat bom Sukhoi sendiri," ujar Dirjen Potensi Pertahanan Kementerian Pertahanan Pos M Hutabarat, Senin (25/3/2013) di Malang. 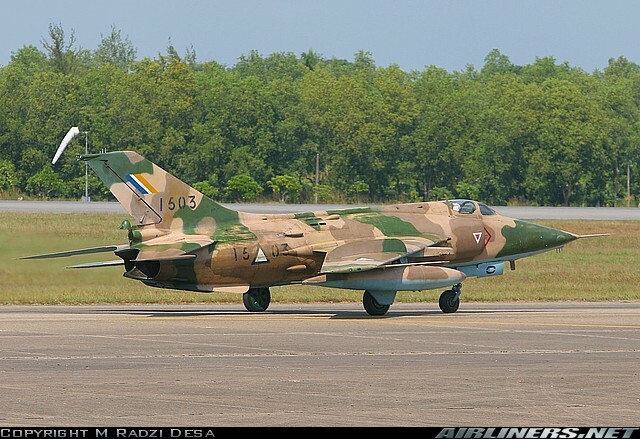 Diharapkan, setelah tahun 2014 Indonesia bisa membuat fuse Sukhoi sendiri. Ini karena setelah 2014 Indonesia akan memiliki satu skuadron pesawat Sukhoi. Saat ini Indonesia baru memiliki 10 pesawat Sukhoi. MALANG – Sebanyak 260 unit kepala roket jenis smoke warhead segera diekspor ke Chile akhir bulan Maret ini. Menariknya, produk alutsista (alat utama sistem senjata) ini dibuat dan diproduksi oleh PT. Sari Bahari dari Ngalam. “Ini eskpor pertama kami keluar negeri, setelah kami mulai memproduksi selongsong bom dan beberapa alutsista lain dengan mandiri sejak tahun 2010 lalu. Jika Chile merasa puas segera akan ada MoU untuk kerjasama tetap dan berkelanjutan dengan kami,” kata pemilik Sari Bahari, Ir. Ricky Bahari seperti dilansir Malang Post (JPNN Group), Minggu (24/3). Ditambahkan, produsen alutsista yang menjadi mitra PT.Pindad sejak 10 tahun terahir ini berhasil memasarkan kepala roket latih jenis smoke warhead setelah mengikuti pameran Indo Defence di Jakarta bulan November lalu. Produknya mengalahkan produk serupa buatan pabrikan berbagai negara maju diantaranya Amerika Serikat dan Rusia.“ Ini adalah prestasi pertama kami. Kami saat ini juga sedang melakukan negosiasi dengan beberapa negara lain. Produk kami dapat diterima oleh mereka karena harga lebih hemat dan kualitasnya juga lebih baik,” katanya optimis. Dipaparkan bahwa smoke warhead adalah kepala roket dengan diameter 70 mm dan cocok dipasangkan dengan roket pasangan pesawat seperti Super Tucano. Smoke warhead memberikan informasi pada pilot tentang posisi persis jatuhnya roket mereka. “Ketika roket menyentuh tanah, kepala roket milik kami akan lepas dan mengeluarkan asap selama 2 menit. Itu waktu yang cukup bagi pilot untuk memutar haluan pesawat dan kembali melihat letak roket jatuh, karena ini adalah kepala roket untuk latihan,” lanjut alumnus SI Fakultas Pertanian Universitas Brawijaya ini. Lebih lanjut, Ricky Bahari menuturkan bahwa produk tersebut sudah diproduksi sejak tahun 2000 untuk memenuhi pesanan TNI. Bahkan, sudah lebih dari 3000 smoke warhead yang dipesan TNI. ‘’Sedangkan yang baru mulai dibeli oleh luar negeri. TKDN (Tingkat Kandungan Dalam Negeri) sekitar 40 persen. Bahan baku memang ada yang impor, tetapi desain dan pembuatanya 100 persen dalam negeri,” bebernya. Dengan jumlah pekerja sekitar 80 orang, PT Sari Bahari mampu memproduksi hingga 150 pieces smoke warhead setiap harinya. Seluruh pekerja ditempat usaha tersebut adalah penduduk sekitar Jalan Muharto. “Kami sudah berekanan dengan PT. Pindad selama puluhan tahun. Kami juga sudah mengantongi sertifikat dari Dislitbang TNI-AU untuk seluruh kepala roket dan kasing yang kami produksi. Jadi walaupun produk lokal tetap tersertifikasi nasional dan sekarang juga diakui internasional,” ucapnya. 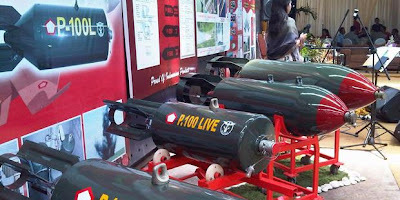 Selain Smoke Warhead, PT Sari Bahari juga memproduksi beberapa selongsong bom jenis areal bombing, bom yang dijatuhkan dari udara. Ada P-100 (practice) untuk latihan dengan bobot 100 kilogram, bom P-100 (live) untuk amunisi perang, bom P-25 (practice), folding fin for motor rocket ffar 70 ml. Seluruh produk tersebut dipamerkan di dalam bengkelnya. Khusus untuk bom live atau perang, bom dilengkapi dengan amunisi di dalam roket. Isi peledak di dalam bom tidak dikerjakan oleh Sari Bahari. Perusahaan yang diberi nama merujuk pada profesi ayah Ricky yang seorang perwira dari TNI-AL, akan mengirim kasing untuk diisi bahan peledak oleh PT Dahana, salah satu BUMN yang bergerak di bidang material energi tinggi. Kasing bom yang memiliki bentuk tidak lancip dibagian hulu ledak tersebut, memiliki radius ledakan hingga 300 meter jika telah di isi bahan peledak. 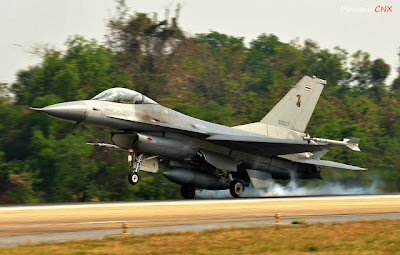 Exercise Cope Tiger, a trilateral air exercise conducted by Singapore, Thailand and the United States, came to a close today at Korat Air Base, Thailand. The closing ceremony was officiated by Singapore's Chief of Air Force (Designate), Brigadier-General Hoo Cher Mou; Commander-in-Chief of the Royal Thai Air Force, Air Chief Marshal Prajin Juntong; and Commander of the Pacific Air Forces, General Herbert J. Carlisle. The exercise, the 19th in its series, was conducted in two phases. The first phase was a command post exercise, held at the Multinational Operations and Exercises Centre in Changi Naval Base, Singapore, from 11 to 13 December 2012, while the second phase was a flying training exercise, conducted at Korat Air Base from 11 to 22 March 2013. This year's exercise saw the deployment of about 80 aircraft, 36 ground-based air defence systems, and more than 2,000 personnel from the participating nations. The Republic of Singapore Air Force's (RSAF) Surface-to-air PYthon-5 and DERby (SPYDER) ground-based air defence system also participated in Exercise Cope Tiger for the first time. The exercise participants also provided basic health and dental services to the local community in the vicinity of Korat Air Base and Chandy Range as part of a two-day joint socio-civic programme. RSAF Air Director for Exercise Cope Tiger 2013, Colonel (COL) Benedict Ang, shared his views about the importance of this trilateral air exercise. "We are pleased to train and operate alongside our counterparts from Thailand and the United States in Exercise Cope Tiger. More importantly, the friendship that has developed through this trilateral exercise serves to enhance the defence relationship and interoperability of the three participating nations," said COL Ang. Conducted since 1994, Exercise Cope Tiger seeks to enhance professionalism and interoperability among the participating forces, and promote closer rapport and mutual understanding among their personnel.